Solar Gard Ultra Performance, which is manufactured with advanced nanotechnology, sets itself apart from the rest when it comes to maximizing your driving experience and comfort. With the sophisticated infrared heat blocking properties of Ultra Performance, you’ll notice a huge reduction in the total solar heat energy coming through your windows in six different shades. On top of that, Ultra Performance offers industry leading ceramic window film clarity for unaltered visibility and safe driving. Since Solar Gard Ultra Performance blocks over 99% of damaging and harmful ultraviolet light, you’re helping to protect your car’s interior from fading as well yourself from premature skin aging or even skin cancer. Guarantee yourself a clear, ultra performing ceramic window film that will last a lifetime! Looking to Add Solar Gard Ultra Performance Ceramic Window Film to Your Vehicle? 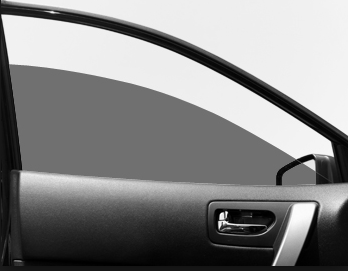 AutoWorks is an automotive electronics shop that also offers window tint services to towns in the Monmouth County area. Service towns include: Middletown, Tinton Falls, Oceanport, Keyport, Keansburg, Highlands, Matawan, Long Branch, Hazlet, Atlantic Highlands, Aberdeen, Shrewsbury Twp, West Long Branch, Fair Haven, and many more. To learn more about our products and installation services or to upgrade your vehicle with Solar Gard Ultra Performance window film, contact us today at (732)671-0225 or visit the website.